It’s mid-morning and Casey is sharing a coffee break with her assistant when she gets an urgent phone call to get along to the main hall as soon as possible. She arrives to find rows of seats still out from the morning’s assembly, and the aftermath of some sort of incident going on. There’s a lad with a head wound – the deputy head is about to take him to casualty – and a girl, a very slight girl, who’s surrounded by teachers and who’s apparently involved in some way. It turns out that the girl, whose name is Kiara, had fallen asleep in assembly, and had lashed out at the boy when she woke up to hear him making lewd comments about her. The spat had quickly escalated, and had caused him to fall and crack his head on the back of an adjacent chair. Kiara’s still upset and angry now, lashing out at him again again as he passes, and its decided that instead of her returning to lessons, a spell with Casey might be the best thing for the rest of the day, as there are other ongoing concerns about this ragdoll of a child. Casey tells the staff that she’ll report back as soon as she can, and, once they are alone, she does manage to get Kiara to speak to her a little about both her tendency to fall asleep in school ( which appears to happen often) and about her fury at the boy and what he’d said. Perhaps more importantly, perhaps, Casey notices something else – that Kiara’s clearly got an issue with unconscious hair-pulling; she’s been pulling out strands of hair since arriving in the Unit, and seems not to even realise she’s doing so. It’s only one thing, but there’s more about Kiara that has Casey’s antennae twitching; despite being an apparently sweet girl, she appears to be entirely friendless, and she also has strangely knowing eyes. Added up, all these pointers seem to signify that it’s worth Casey investigating her background a little further, so she makes some calls and checks Kiara’s file and is shocked to find out that the previous year another child had reported that Kiara had been cutting her arms. But might there be another reason? That Kiara, slight, shy and diffident as she is, has simply dipped underneath the school radar? 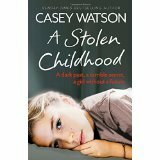 Driven by her instinct, that there is much more that needs to been known about this child, Casey asks is she can keep Kiara in the unit for a bit longer, in the hopes that she’ll settle in enough to share a bit more with Casey - about why she falls asleep, why she’s friendless, and why she pulls out her hair. And, bit by bit, a distressing picture of Kiara’s home life begins emerging.